Posted on December 6, 2018. Baskin-Robbins, the world’s largest chain of specialty ice cream shops, is celebrating the joy of the season with the December Flavor of the Month, Caramel Cappuccino Cheesecake. 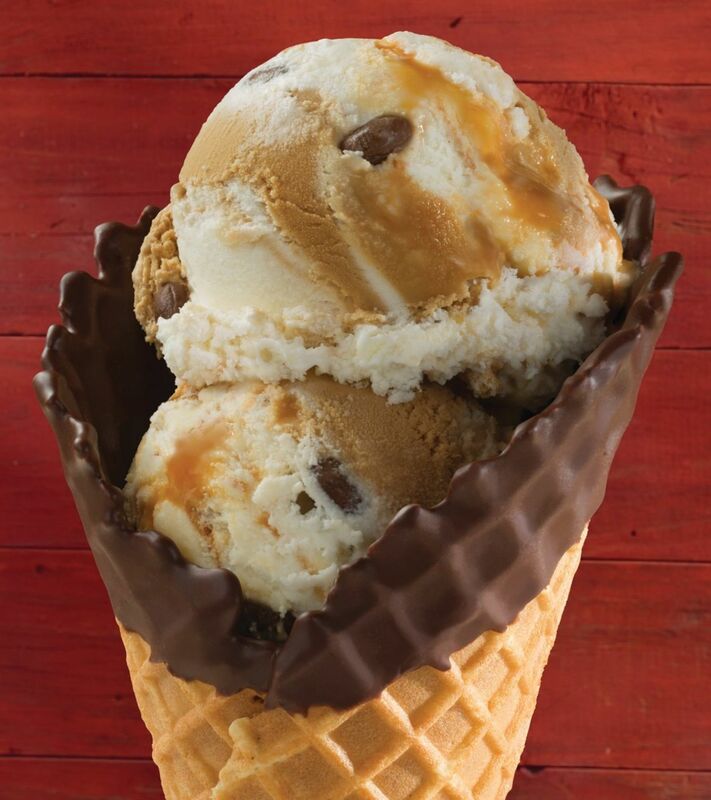 Featuring cheesecake and coffee-flavored ice creams churned with cappuccino toffee pieces, cheesecake pieces and a salted caramel swirl, this new and decadently delicious flavor is sure to be on everyone’s list. For guests looking to spread some sweet cheer at their holiday party, Baskin-Robbins’ new Red Velvet Roll Cake, is the gift that keeps on giving. This delicious holiday cake combines rich cocoa-flavored red velvet cake with delicious cream cheese-flavored ice cream and is topped with traditional Red Velvet cake crumbs and festive chocolate swirls. This cake will be available at participating U.S. locations as well as online at www.baskinrobbins.com/onlineordering. Guests can also celebrate the season with signature flavors that are home for the holidays, including the Winter White Chocolate, a white chocolate-flavored ice cream with cherry pieces in a chocolate-flavored coating and a cherry ribbon; Egg Nog, a rich, thick egg nog-flavored ice cream; Peppermint, a pink peppermint-flavored ice cream with pieces of peppermint candy; or Mint Chocolate Chip, a classic mint-flavored ice cream with chocolate pieces. Finally, Baskin-Robbins is inviting guests to end the year on a sweet note with its Celebrate 31 promotion on Monday, December 31st. On New Year’s Eve, guests can ring in 2019 with a regular or kids-sized scoop of ice cream for $1.50* at participating locations nationwide. For more information about Baskin-Robbins’ wide variety of premium ice cream flavors and desserts, visit www.BaskinRobbins.com.